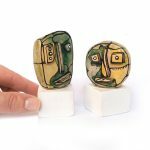 Публикувахте от 99heads в Петък, 9 ноември 2018 г. 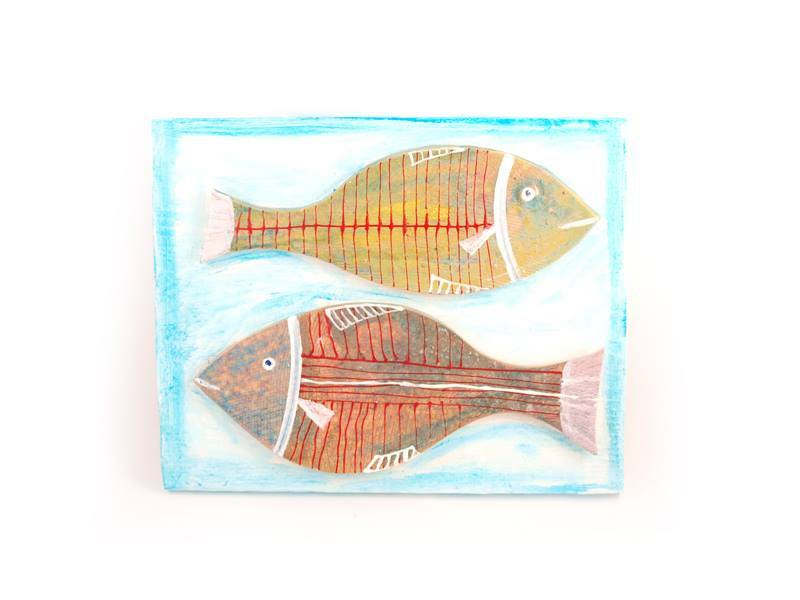 This 3D ceramic fish wall art is made in our studio. 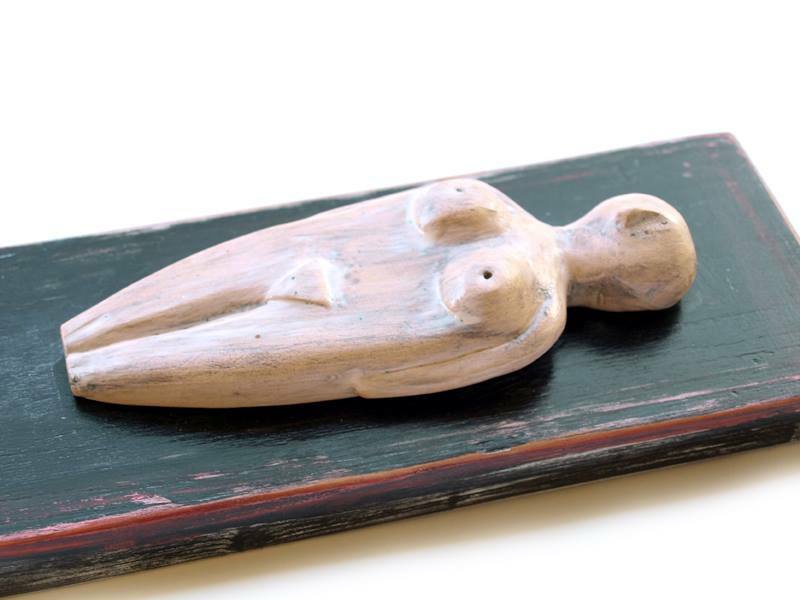 It is part of the Summer 2016 Collection. 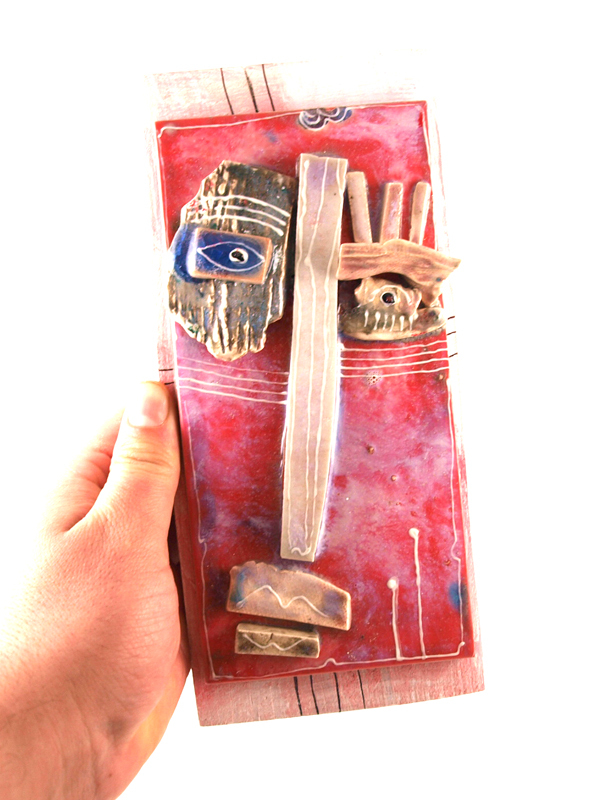 We used several materials: white clay, wood and ceramic glazes. 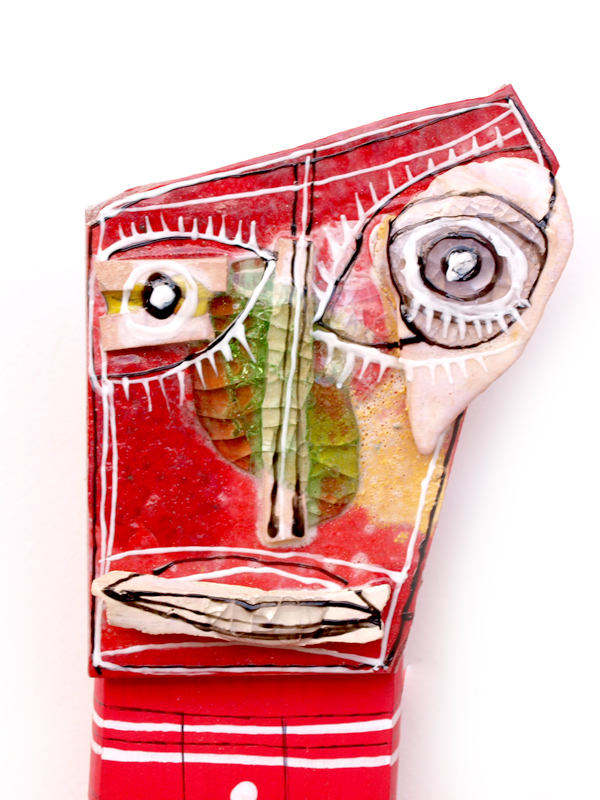 The body is made of white clay, painted in a special mix of red, orange and yellow, then decorated with thin red and white lines. 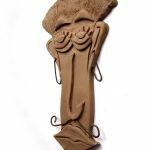 We used a few ceramic elements to emphasize the fish, searching for a slight 3D effect and a special imprint imitating a fish-bone, going head to tail. 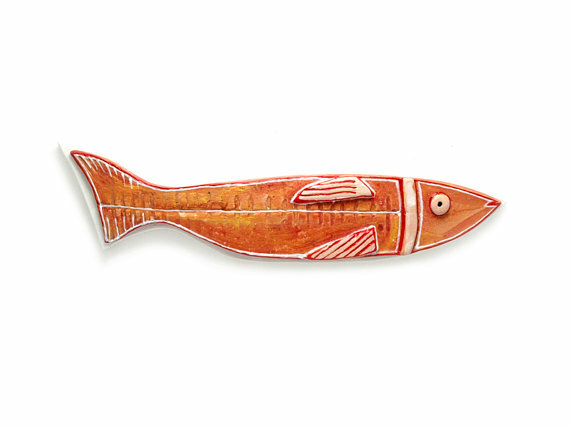 The fish is placed on a wooden board, painted in white, which has got a hook on the back for easy hanging on the desired location. 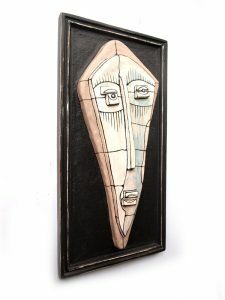 The art piece is a perfect addition to you personal collection or a great gift for someone very special. 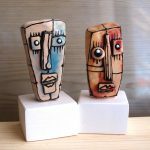 Check out other similar art works in our shop! 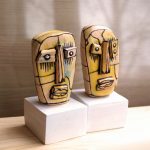 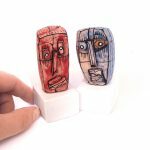 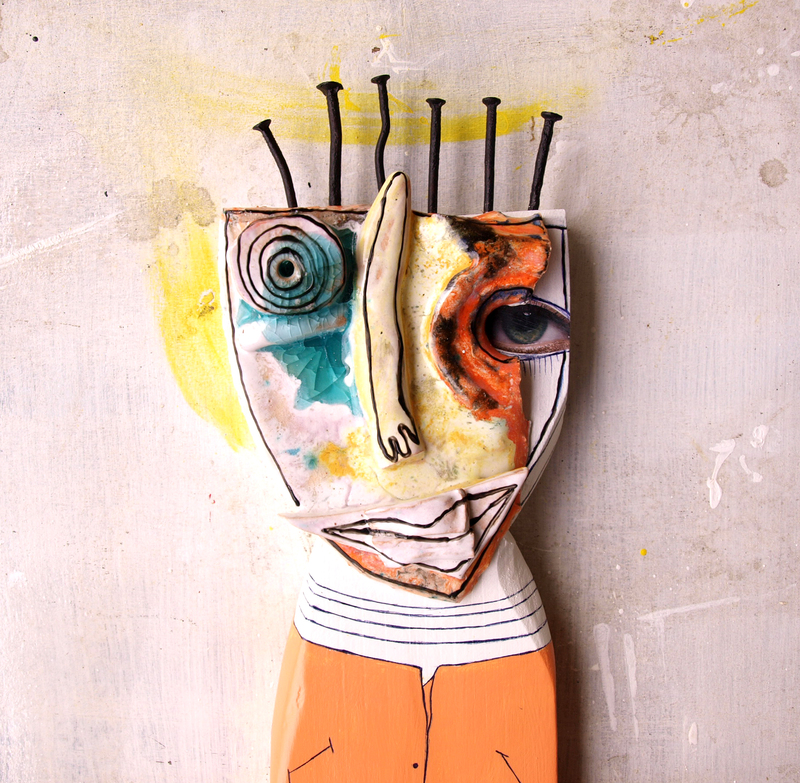 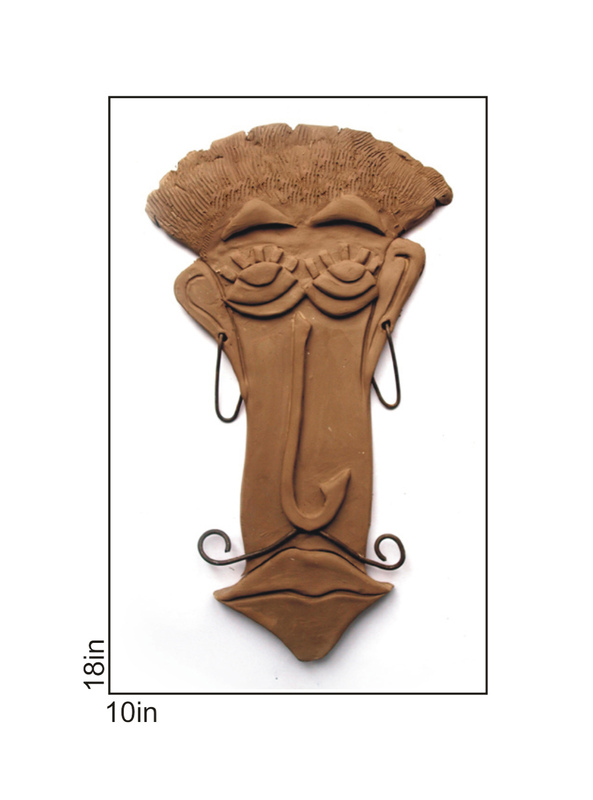 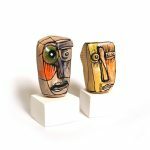 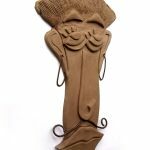 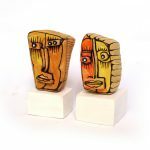 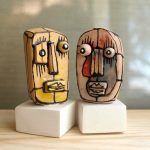 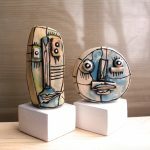 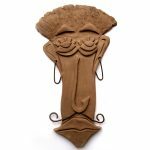 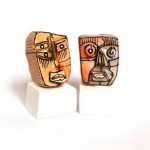 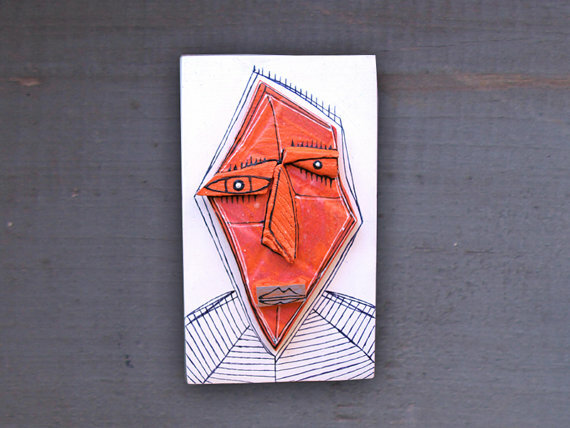 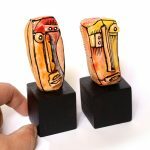 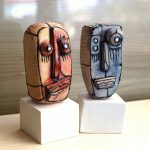 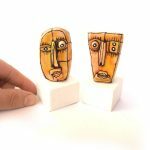 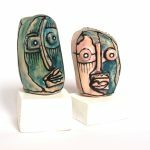 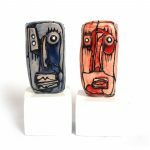 Mr Primitive – Ceramic sculpture desk accessories Primitive sculpture. 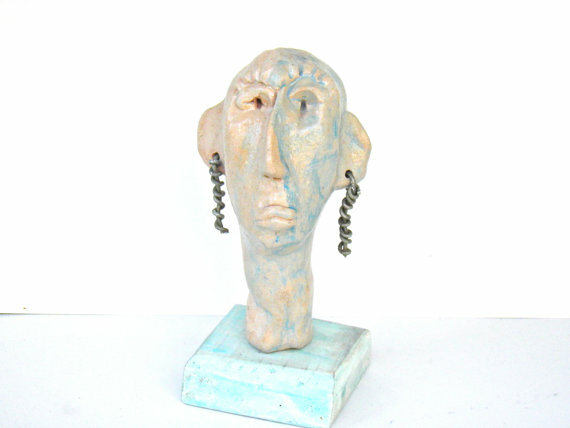 This is a small porcelain handmade head on a wooden stand. 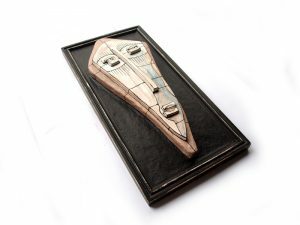 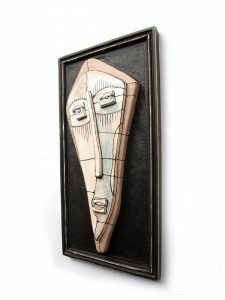 This type of art is suitable for both private collections and a gift. 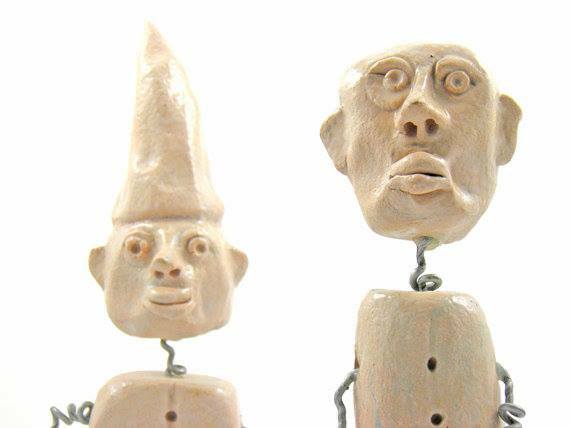 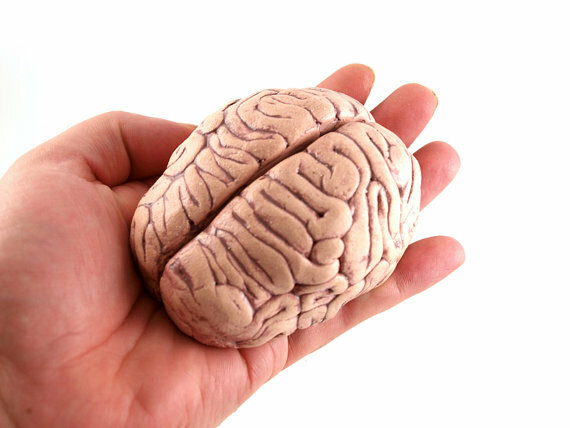 The heads are made of porcelain, red clay or fireclay. 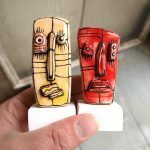 They are entirely hand made and each one of them is unique. 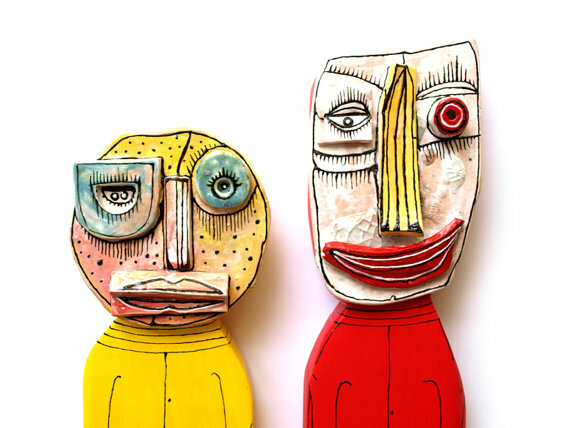 For the coloring one can use different glazes. 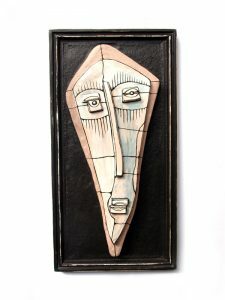 The technology of workmanship is also unique and takes time and patience. 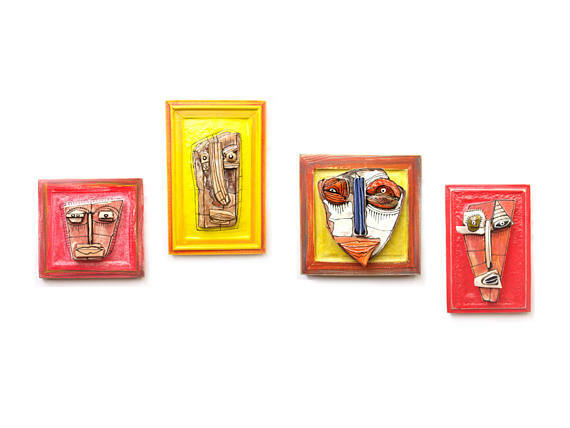 With some of the heads one can use glass, metal and wooden elements. 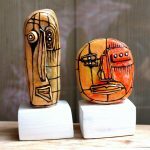 Each one of them brings its own individuality and unique spirit. 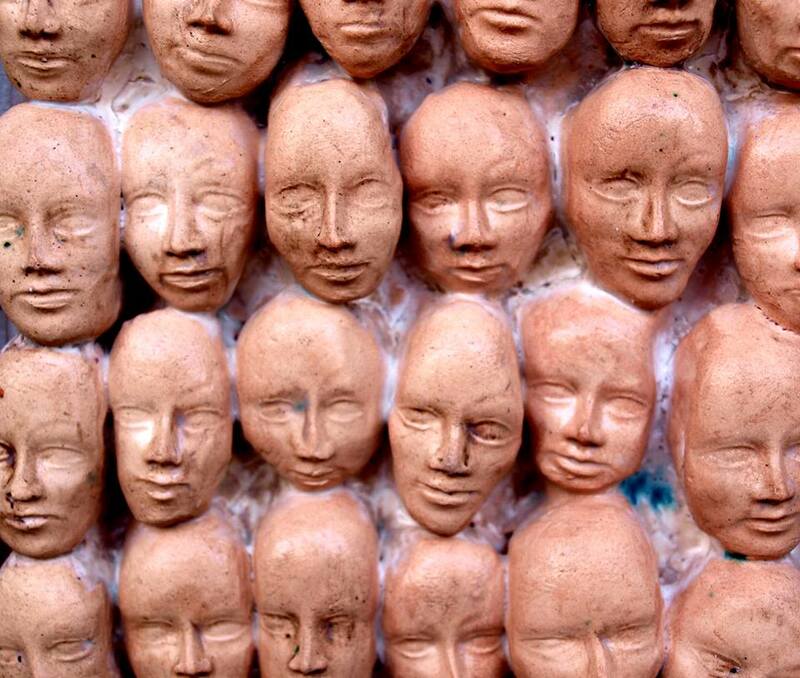 A little more about the technology: after the heads are molded, they have to be left to dry, after which they are being baked in a special oven at about 1000 degrees Celsius. 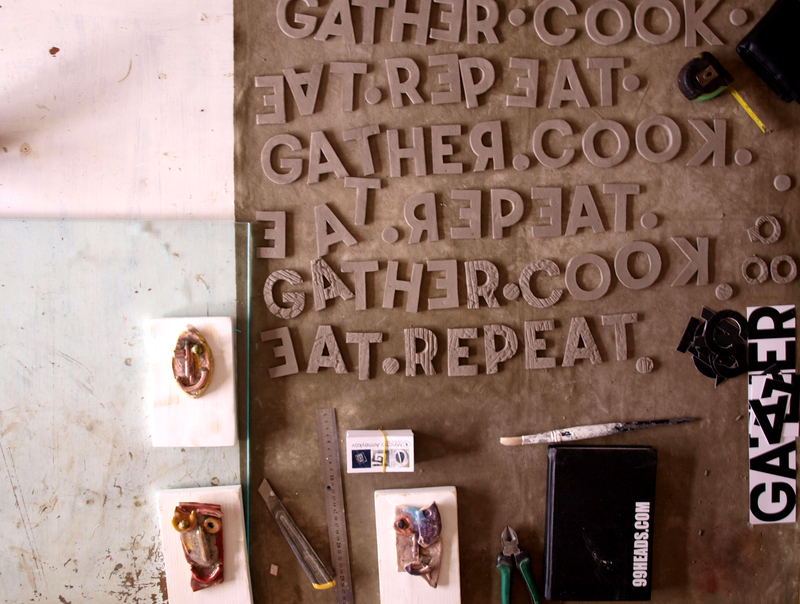 After being baked once, the colors are laid and the baking process is repeated. 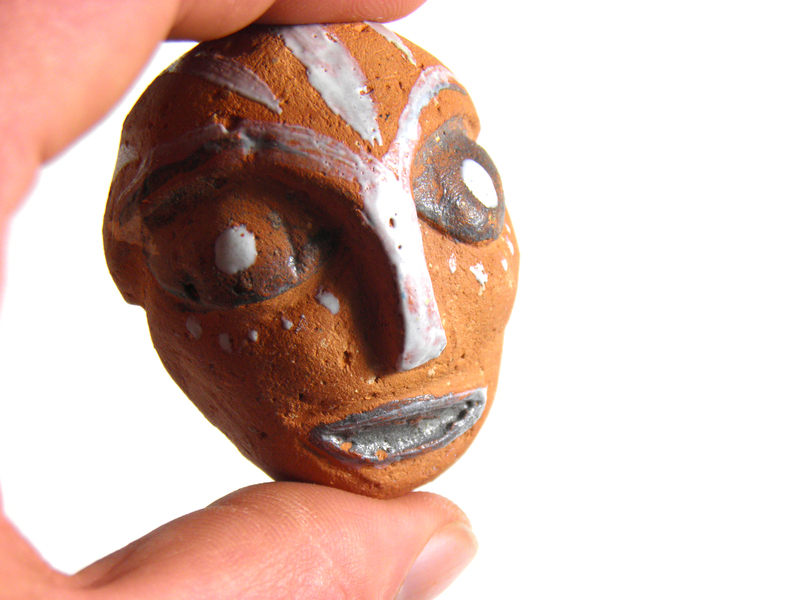 Depending on the desired effect, the heads can go through the oven a third time, if working with other types of colors.